While the countdown to the New Year has officially begun, it hasn’t slowed down the real estate developers from launching new projects — after all, construction will always move forward, regardless of the amount of snow on the ground. No matter where you live in Canada or how brisk the weather, there are a number of exciting events taking place this weekend. Residents in Vancouver can attend an autumn carnival, complete with circus performances, food trucks and magicians. Need we say more? If you’re a bit further east, there will also be a host of grand openings and model home debuts in Ontario and Quebec. Riviera on the Bow by DaVinci Homes: Fall Lunch, Saturday, 12pm, 2838 Parkdale Blvd NW, Calgary. Kensington Gardens by Westbank: Carnival, Saturday, 12pm, 2220 Kingsway, Vancouver. The Brownstones at Westown by Lindvest: Grand Opening, Saturday, 11am, 2277 Sheppard Ave West, Toronto. 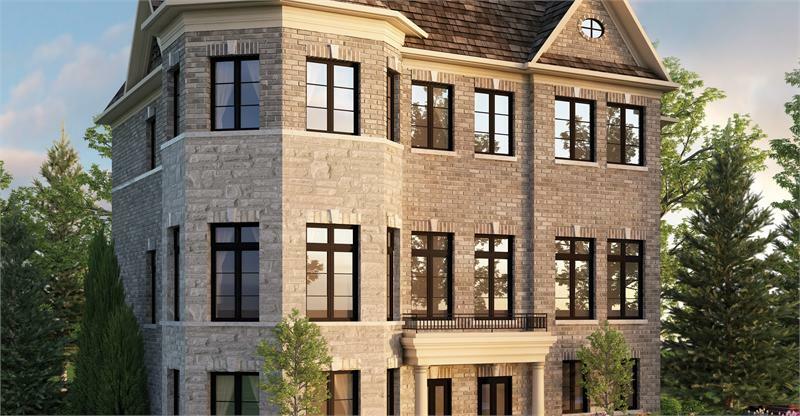 Heritage Gate by Dunpar Homes (pictured above): Block F Release, Saturday, 12pm, 190 Queen Street, Mississauga. SQ at Alexandra Park by Tridel: Grand Opening, Saturday, 12pm, 519 Queen Street West, Toronto. Victoria Highlands by Rosehaven Homes: Grand Opening, Saturday, 1pm, Ninth Line and Mount Albert Road, Mount Albert. Westhaven by Tiffany Park Homes and Graywood Developments Ltd: New Release, Saturday, 11am, Islington Avenue and Norseman Street, Toronto. Cornell Markham by Ballantry Homes: Grand Opening, Saturday, 11am, Cornell Centre Boulevard and 16th Avenue, Markham. Longfields at Barrhaven by Cardel Homes Ottawa: Model Home Grand Opening, Saturday and Sunday, 12pm, 280 Longfields Drive, Nepean. MYST Condos by MELKILIVING: Live Art Demonstration, Saturday, 1pm, 2365 Rue Saint Patrick, Montreal. Les Condos Crescent by Inca Development: Last Chance for Pre-Construction Pricing, Saturday and Sunday, 12pm, 1220 Crescent Montreal.